A guide through the maze of slow cooker features, sizes, price and settings to help you choose the most suitable slow cooker for your needs. Slow cookers come in several different shapes and each shape has its own merits and drawbacks. The important part about the "shape" is the cooking bowl not the exterior shape. For instance the Cusinart 650 is square shaped on the outside but the cooking bowl is in fact oval (see right). The two common shapes are round and oval. The traditional round shapes is excellent at cooking casseroles and soups and really comes into its own if you want to cook cakes something that is not really possible in an oval shape. Oval shaped slow cookers are also good at casseroles and soups. They are ideally shaped for cooking whole small chickens, whole fish (small) and long terrines. Before buying your slow cooker you need to think about what you will use it for. The average capacity for a slow cooker is around the 4 litre / 7 pint size. This size will cook meals for four or five and is big enough to experiment with some more unusual meals. If you only plan to cook for one or two then a 1.5 to 2 litre slow cooker may be more appropriate. The largest slow cookers are around the 6.5 litre / 11.5 pint size and these can cook much larger meals. They are not particularly good however for cooking small portions. Another important part of choosing the capacity of your slow cooker is how much space you have and where you will store it. Clearly, the larger capacity slow cookers take up much more space compared to the smaller ones. At a minimum we would suggest a slow cooker which has at least high and low heat settings. This works well for almost all meals. Some slow cookers have an additional medium setting which allows more control over cooking time and speed. Another reasonably common heat setting is called "keep warm". This can be used to to keep food warm when it has finished cooking. We found that it was little different to the low setting. One feature than many find useful though is the "auto" setting. This automatically cooks on high for the first hour and then turns to low. This speeds up the cooking process because slow cookers take a long time to reach a cooking heat when on the low setting. See the picture on the right for a complicated control panel. Almost all slow cookers come in three main parts, the lid, the cooking bowl and the main outer part. Many lids are dishwasher safe but many of the cooking bowls are not. It's a case of paying more for the convenience of being able to wash the bowl in a dishwasher. If it needs manual cleaning then simply pour in warm water and a little washing up liquid and leave to soak for half an hour. This will loosen up any food stuck on the sides and make normal cleaning easy. A few slow cookers have an auto-browning feature. The idea is that meat for casseroles can be browned and sealed in the slow cooker rather than in a pan prior to cooking. Our strong advice is to ignore models with this function. Too many reviews say that the browning process can burn the meat and make the cooking pot hard to clean. Also if you look at models with this feature you will see that they are not really slow cookers, they are basically a pot on a heated base. They use far more electricity compared to normal versions. POWER CORD - is it long enough to reach you electrical socket? Is it too long? Does it automatically rewind into the base of the unit? RICE COOKING - we don't advise it but it may suit you. Some slow cookers can also cook rice, is this a feature you want? 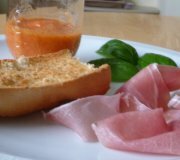 END OF COOKING PROCEDURE - what will the slow cooker do at the end of its cooking time (if it has a timer)? Turn off automatically, go into "stay warm mode"? POWER ON LIGHT - Many slow cookers have a light to warn that they are cooking. With some the light goes off when the ideal temperature has been reached. What suits you? ENERGY CONSUMPTION - the average slow cooker consumes about the same electricity as an old fashioned light bulb (60W). Some models consume considerably more, especially those which automatically brown and / or sauté. 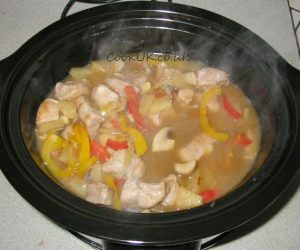 WHAT MODEL OF SLOW COOKER TO CHOOSE? So now you have explored all the options available with the modern slow cooker it's time to read our next page which compares a wide range of slow cookers to help you select the correct one for you. Click here to go there now.